For those friends who are active duty Military. Our active duty military, while protecting our country and freedom actually have very little rights when it comes to be accused and/or criminally charged with a crime. They are charged under the Uniform Code of Military Justice, (UCMJ), a federal law enacted by Congress. It defines the military justice system and list criminal offenses under military law. When a service member is criminally charged in the military they will usually face a court martial (Military court) Military court-martials are the most severe sanctions under military law. A court-martial conviction is the same as a federal conviction and can (depending on the offense) result in jail time (at hard labor) or a punitive discharge, (such as dishonorable discharge), as well as fines and reduction in rank. The level chosen usually depends on the severity of the offense and the rank of the accused. What most of our servicemen don·t know is that their rights are not the same in the military as they are in the civilian court. For example in civilian court the defendant has the right to have witnesses subpoenaed so they can come and testify for the him/her. Their attorneys can send out the subpoenas and have them deposed and/or have them appear in court. In Military court, the prosecutor has to be asked to do this for the defendant by the attorney defending him/her possibly giving away defense tactics. This is just one of many rights a service member doesn’t have. If you’ve been wrongly accused of a crime such as sexual assault, (these types of false accusations happen all the time), Indecent liberties, murder, breaking and entering, etc .. don’t just sit back and think it’s going to be “ok because I just didn’t do it”. We’ve assisted military attorneys with cases such as these and once you’re charged they aren’t going to listen to you say 111 didn’t do it” One case comes to mind where a high ranking gentleman just brushed by a woman and she filed a sexual assault charge against him. “Insane”? Yes, but it happens all the time. If you’re being accused and/or charged don’t wait! Call us for a free consultation on how we can help you with your case. If you don’t have an attorney we will direct you to a great one! Should You Hire Professional Help For Civil Cases? We are going to discuss how to participate in your role in a civil matter by hiring someone from a professional organization. One must be prepared for either side of the spectrum, plaintiff and/or defendant. Civil lawsuits can be as simple in nature as a Small Claims Court matter as well as complex as in District Court and/or Superior Court matters. It may be unclear to you whether or not you need a attorney for representation, or whether or not you should represent yourself. The reasonable approach to understand the confusion is to speak to someone at Cape Fear Investigative Services, Inc. They will assist you in ensuring you take the right steps for maximum results. The thing to do is to make sure that you are taking your time to find the right help. How Do I Know it Shouldn’t be a Criminal Case? It should be rather obvious in most cases whether or not the matters set forth are criminal or civil in nature. There are, of course, some times when it does appear to be a bit confusing. In those instances you will want to talk to someone at Cape Fear Investigative Services, Inc. to help guide you towards the answers you seek and lead you in the right direction. The bottom line is that hiring professional help for your civil lawsuit is a good thing to do. Cape Fear Investigative Services, Inc. also offers paralegal services to attorneys. 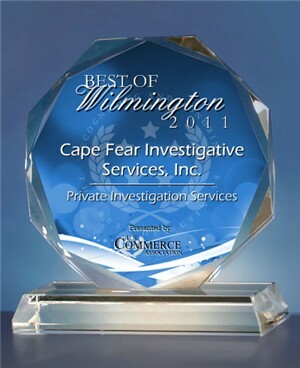 Call Cape Fear Investigative Services, Inc. at (910) 762-4374 to help you make decisions regarding your civil matter. Posted in Legal Assistance | Comments Off on Should You Hire Professional Help For Civil Cases? When you are trying to find help with your criminal cases for homicides or drugs, you are going to want to be sure to talk to a legal professional who can help you to understand the situation. Here we are going to talk about how you can make the best choice for this type of situation if there is a serious charge. These basic tips apply regardless of whether you are pressing or facing charges. The first thing to do if possible is to find someone that has the appropriate experience. If money is not an issue, then you can find the help for your criminal homicide or drug case by looking at who has the most experience with your particular type of case. If you are experiencing a federal drug charge, for example, find someone who has had success working such cases in the past. If you have a state drug charge, then find someone with that type of experience in your state. Homicide charges are much more serious and should be dealt with accordingly. Whether you are dealing with a federal or state homicide charge, you want to hire the best of the best. You will want to make sure that you deal with the criminal cases to the very best of your ability. If money is a big problem for you, borrow some from a family member. Get the money you need for the best person you can find in any way you can. You will want to fully understand what you are up against so that you can make the ideal choice. Above all else, try to stay relaxed. The more stressed out you are, the less likely you are going to be to make a good decision or have a positive presence in court, regardless of which side you are on. Always try to be as relaxed as possible, especially as you try to find the right investigative or legal services for yourself. This will help you make a better choice in the end. Call Cape Fear Investigative Services at (910) 762-4374 for your criminal cases. You will see that you can get pointed in the right direction whether you are facing or pressing drug or homicide charges at the federal or state level.